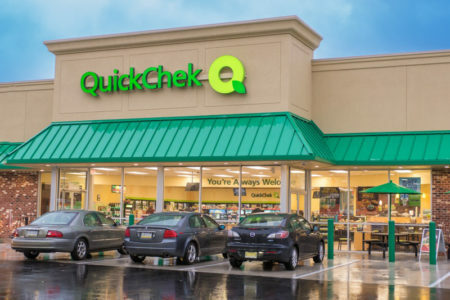 Isn’t QuickChek just like every other convenience store? We maintain every one of our stores as if we lived next door to them. We're a family-owned business, with strong family values. We work hard to contribute to communities. It's true that QuickChek is convenient: we're a one-stop shop to grab a fast and healthy meal, pick up groceries, fill up the gas tank or replenish your cash. But we're not your average convenience store! Click HERE to learn more about what's in our QuickChek stores. Why is QuickChek open 24 hours? We like to be open when our customers need us to be open. Our customers range from 9-to-5 workers to third-shift workers and emergency personnel; people who need the convenience of a 24/7 store. Some of our competitors are also open 24 hours for this same reason. And because it's a lot of work keeping our stores properly stocked and clean, we rely on those 24 hours to accomplish all this work! Why are QuickCheks so much larger than other convenience stores? Because we offer so much more! QuickChek provides more fresh food and beverage options. There's our bakery, sandwich counter, Q Cafe and seating areas. Our aisles are wider to get around easier when the store is busy. We provide more room to safely maneuver around our gas pumps and parking spots. Click HERE to learn more about what we offer in our QuickChek stores. How do you control tobacco and lottery ticket sales? Before they are allowed to work in a sales position, each Team Member is extensively trained in the sale of age-restricted items such as tobacco, electronic cigarettes and lottery tickets. QuickChek also rigorously monitors the sale of all age-restricted items. It's in our best interest to ensure that Team Members follow the law and adhere to our policies, since any violation could cause us to lose our license to sell these products. To date, these strict policies have resulted in zero citations for selling to underage customers. How do you prevent gasoline from leaking underground? When we first offered gas, our CEO instructed us to spare no expense to make certain there would never be a safety incident. This is extremely important to us. We buy the best equipment available in the industry, with double-walled fuel tanks (each with a 30-year warranty). This equipment automatically alerts us if anything seems abnormal. If there's ever a leak or spill, the system shuts down all tanks. Why do you use bollards? Experts regularly recommend the use of bollards - short, vertical posts that control or direct traffic - to reduce the risk of accidents and cars hitting our buildings. We prefer them instead of raised curbs, which are a tripping hazard to both our customers and Team Members. Why do you need so many pumping stations? Each QuickChek site design is developed to allow for the optimum number of fueling positions based on the size of the site, as well as local codes. While too many stations are never a good idea, we've learned that too few fueling stations could result in vehicle congestion, which worsens both vehicle circulation and safety. For these reasons, we make sure that each site plan is carefully reviewed for optimum spacing at our fueling stations, to allow for safe maneuvering of vehicles. We don’t want smells and litter either! This is why we take great care to make sure our stores are clean inside and out. Our Team Members are trained to pick up litter wherever they see it. Each store's trash enclosure is placed where it can be safely accessed by our staff, but also in a location that keeps it away from our neighbors. Should there ever be a problem, in-store customers can call our 24-hour help desk anytime. We maintain each QuickChek as though we lived next door to it. We invite you to stop in at any of our 140+ stores to see for yourself! Why isn’t there any landscaping around your building? We've found that landscaping doesn't thrive in small areas under the canopy of our buildings. It’s also a tripping hazard for those walking around the building, and it inevitably gets damaged from snow piles during winter. For these reasons, we prefer to compensate with generous landscaping around the perimeter of our store, which is meticulously maintained and provide a greater benefit to the neighborhood. Why should I welcome QuickChek to our community? Our stores truly provide one-stop shopping unlike any other convenience store: fresh-baked goods, award-winning coffee, made-to-order sandwiches, seating to relax and catch up with neighbors, no-fee ATMs and so, so much more. Click HERE to learn more about what's inside a QuickChek. Each of our stores is set-up to make their own Human Resources decisions regarding hiring and promotions. The Store Leader and all other Team Members are most likely members of your community. This translates to local jobs and local tax revenue. Like any new community resident, we want to fit in and embrace your neighborhood's unique culture. We give back to our local communities by helping local kids' sports teams. Read more about that HERE. We're a local company that's family owned with family values. Our roots go back to delivering fresh milk door-to-door. We understand the importance of providing quality products and quality service. Won’t you drive other local food shops out of business? Our experience has shown that QuickChek stores usually do NOT drive out neighboring delis, pizzerias or other shops. The simple reason is that our food offerings are unique, and don't compete with pizza shops, restaurants and other food providers. Will the store increase the traffic in my community? Convenience store shoppers rarely go out of their way to shop or buy gas. Instead, they look for local stores that are already along their way. Our QuickChek stores – no matter how terrific they are – will never be a destination for people. For this reason, they typically don't increase traffic. We consider and select possible store locations based on the demographics and existing traffic that currently passes along this site - and never with the intent of increasing traffic. Won’t your stores attract big, noisy trucks pulling in for diesel? No. We know you don’t want that. Luckily, it's not likely this will be happening. Each of our diesel pumps are low-flowing. This wouldn't suit a large tractor trailer, given their need for fast fill-ups. And because most truck drivers know this, they won't be pulling into QuickChek for a fill. Oh - in case you're wondering, we have no plans to add high-flow diesel pumps! What about security at your stores? Each Team Member undergoes an extensive Safety Program. Each store uses a state-of-the-art security system, with cameras mounted both inside and out. Standard emergency shutoffs and sprinkler systems are located throughout our properties. Systems are monitored in corporate offices, with alerts sent to Senior Managers. What about all those noisy truck deliveries? Gas deliveries take about 20 minutes, and these trucks don't idle during delivery. Trash pickups take about 3-5 minutes, so these trucks don’t idle for long periods. Food and product delivery trucks are instructed to turn their engines off while they're off-loading. Overall, delivery trucks are on-site less than 2% of the time, to ensure that your peace is minimally disturbed. What about loitering and noise outside the store? One Team Member in each of our markets is always tasked with maintaining the outside grounds; including noise and loitering. All our Team Members are trained on how to address loitering. We also design any outdoor seating to be a comfortable distance away from neighboring properties. Our outdoor seating is for customers to consume their purchases, not to loiter! If there is an issue, we have a 24-hour customer service number for customers in need. Will the lights from your store shine onto my property? We understand your concern! Thankfully, lighting technology has evolved over the years. QuickChek has invested in some of the best lighting available to virtually eliminate spillover light into neighboring properties. Rest assured, we'll always provide enough light to ensure the safety of customers and Team Members. But we work hard to make sure our neighbors won't lose sleep. Will this store turn into a truck stop, like those QuickCheks on the NJ Turnpike? Actually, we do not have any QuickChek markets on the NJ Turnpike, or at ANY truck stops. That's not what we do. We don't even sell high-flow diesel in any of our locations, so we could never be in a truck stop. The number of our pumps is only what's allowed by your Town Code. QuickCheks aren't about interstates: they're about communities. 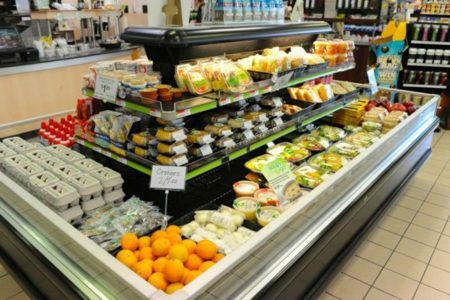 Our locations are designed to look and feel like a neighborhood market, not a truck stop! Isn’t QuickChek out of character with our neighborhood? We're a neighborhood market that also sells gas. We bring both of these things together to create one nicely maintained, high-quality location. We're also a good neighbor! Our designs respect and adhere to your community’s building and zoning codes, so we can blend with the surrounding character of your community. We also give back locally, and strive to fit in. Click HERE to learn more about how we care. How can I be sure you’ll take care of the property? We treat every store as if we lived next door to it. We invest in some of the best landscaping you will find, and all our Team Members are trained to keep the store – inside and out – impeccably clean. We encourage you to visit any of our 140+ QuickChek stores to see how we maintain them. Click HERE for the store nearest you! In every QuickChek we've opened, our store has dramatically improved the look of the upon which it sits. Why would I want dirty convenience store or gas station in my neighborhood? We’re not that. We understand your concerns. We wouldn’t want that either! Each of our QuickChek stores is measured for cleanliness and safety. Keeping our sites impeccably clean - inside and out - is paramount to their day-to-day operation. Our buildings are designed to comply with your community’s local architectural guidelines, with a state-of-the-art design that offers tasteful architectural detail from all sides. We also invest in the best commercial landscaping to ensure a fresh, clean look. Each one of our 140+ stores has dramatically improved the look of the site it sits on, and we're very proud of that. We maintain every one of our QuickChek stores as if we lived next door to it. Why does GlassDoor have negative reviews of QuickChek? We regularly win Best Place To Work awards wherever we operate. Our cash-register Team Members have been employed by QuickChek, on average, for 2-3 years. Store Leaders, on average, have more than ten years of tenure with us. About 25% of our Team Members have been referred to us by current QuickChek Team Members. More than 100 of our Team Members are second or third generation;, having been encouraged by their family members to work at QuickChek. QuickChek is proud to have the lowest employee turnover in our industry: 50% lower than industry norm. So much that we do influences this, from training and opportunities for growth, to benefits and flexible schedules. People stay with QuickChek because we work hard to make QuickChek a Great Place to Work. In fact, our Team Members like working At QuickChek so much, they encourage their children and grandchildren to also work on our teams! Click HERE to learn more about how we care for our Team Members. Will you employ local people in your stores? QuickChek hires locally because we want you to see familiar faces from your own community. For that reason, we hire 35-50 Team Members from the local community for each neighborhood store. We also want to know you and your family, and what you like! As with any new business, we'll sometimes bring in a Store Leader from another established location to help the new Team get things up and running. Our full intent is to hire permanent Store Leaders from the local neighborhood soon as we can.